Published: March 18, 2015 at 07:49 p.m. Updated: March 19, 2015 at 12:32 p.m.
Philip Rivers plans to play out his contract this season, but that doesn't mean the San Diego Chargers will explore a trade involving their quarterback. NFL Media Insider Ian Rapoport reported Wednesday on NFL Total Access that the Chargers have no intention of letting Rivers go anywhere. Although Rivers conceded that a potential franchise relocation to Los Angeles is "part of" his thinking, Rapoport's sources say it is slightly overblown as a factor. It's understandable that Rivers would want to maintain some semblance of control over his future. After witnessing Marshawn Lynch's retirement threat pay off with a handsome new contract, it makes sense to grasp at whatever leverage there is to gain. The bottom line, however, is that the Chargers control Rivers' 2016 destiny by way of the franchise tag. 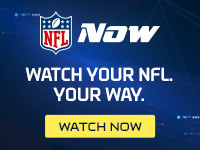 A trade seems "incredibly unlikely," per Rapoport, as the organization's goal is to sign one of the NFL's top half-dozen quarterbacks to a long-term extension. Wednesday's edition of the Around The NFL Podcast connected the dots between the Bolts' reported interest in Oregon's Marcus Mariota and Rivers' history with Titans coach Ken Whisenhunt. Nashville area football fans shouldn't cross their fingers on a Whisenhunt reunion. Rivers is the Chargers' quarterback for the foreseeable future.